Edgar Allan Poe is probably best known for his raven that squawks “Nevermore,” but he’s also one of the first American short story writers and is often credited with being the “inventor” of detective fiction. He also contributed heavily to the genre of science fiction. Not only that, but he was one of the first American writers to earn a living from his writing alone. What’s not as well-known about the man is that Poe had a somewhat turbulent stint in the military. 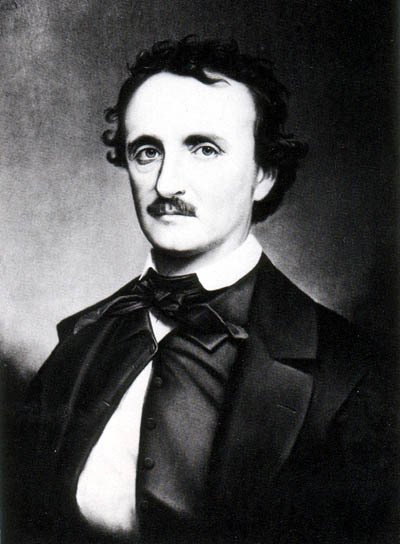 The trouble began when Poe enrolled in a course at the University of Virginia. His foster father gave him a $100 (about $2,000 today) to cover living expenses for the year. Any university student today can tell you that university fees add up—the courses, the books, endless ramen feasts and printing charges. Well, it’s likely Poe didn’t have the latter two, but with other college expenses and his gambling habit, he nevertheless quickly fell into debt. In the end, he quit university after a year and moved to Boston. There, he tried to survive on odd jobs but needed a form of steady income, so he enlisted in the army in 1827. He used the name “Edgar Allan Perry” and said he was twenty-two years old, even though he was just eighteen. Due to the debts he had accumulated in college, a warrant had been issued for his arrest and he wasn’t keen on making it easy for the authorities to find him. First serving at Fort Independence in Boston, he was eventually moved to Fort Monroe in Virginia. Likely Poe didn’t care where he was, as long as he continued to get his $5 per month (about $100 today) from the military. At first, it appeared that Poe would excel in the army. He thrived and was eventually promoted to sergeant major for artillery, which was the highest rank achievable by a non-commissioned individual. Still, Poe disliked army life. Only two years into his five-year commitment, he explained his situation and asked for an early discharge. Lieutenant Howard, his commanding officer, agreed to allow him to leave the army before his time was up on one condition: he make amends with his foster father, with whom he’d always had a shaky relationship. Poe’s foster father wasn’t amenable to making amends at first, but a series of unfortunate events resulted in the death of Poe’s foster mother and a softening of attitudes between the two men. After finding a replacement to finish his enlisted term, Poe was honourably discharged in 1829. He didn’t end his military career there, however. Soon after his discharge, Poe enrolled in West Point and matriculated as a cadet in 1830. Just as he had in the army, Poe proved a diligent pupil, great with math and languages and well-suited to Academy life. Poe’s time at the academy was financed by his foster father, John, meaning that Poe needed his foster father’s permission in order to drop out if he wanted to. Unfortunately, Poe’s relationship with his foster father was soon on the rocks again after John married his second wife, Louisa Patterson. Soon after the marriage, Poe learned that John had fathered illegitimate children with another woman—one of them twenty years his junior. It led to a row between the two, and Poe received a letter saying that his foster father wanted no further communication with him. An angry Poe sent a letter to his foster father letting him know about everything that had infuriated him over the years, and demanding that he let Poe drop out of West Point. The letter ended with the ominous declaration that if he wasn’t allowed to leave gracefully, he’d get himself kicked out. His various offenses included being absent from class parades, guard mounting, and church parades. He also didn’t show up for academic classes, and refused to obey officer’s orders. There was a rumour that he once turned up to drills in a belt and nothing else, but there’s nothing in his official record to corroborate this. Interesting though such a stunt would have been, Poe’s preferred method of mayhem was not showing up to anything at all. Poe was, of course, found guilty of all charges and kicked out of West Point. He headed off to New York to pursue writing, but not before he’d gotten a little something extra out of the military first. He convinced over 100 cadets to donate money to fund the release of a new volume of poems, titled simply Poems. The book was dedicated to his fellow cadets. Poe published his first book around the same time he joined the army. Only 50 copies were printed and it was never reviewed by the newspapers—in all respects, a great flop. Poe didn’t put his name on the cover, but rather attributed it to “A Bostonian.” Boston was the literary mecca of the United States at the time, and he thought it would be a clever marketing ploy to get people to buy the book. While at Fort Independence, Poe was inspired by a legend which led to writing The Cask of Amontillado. Ten years before his arrival at the Fort, two men fought a duel. The popular Lieutenant Massie was killed, and his friends wanted revenge. According to the legend, the killer was then chained to a wall and sealed in a vault. While the duel probably did happen—resulting a monument to Massie—it’s more likely that the killer was court-martialed rather than entombed in a vault, but Poe seemed to think it made a pretty good story. Do you mean adopted father? Relatively small matter, but John Allan never adopted Poe. He was nothing more than unofficial “foster father” or “guardian,” even though Poe called him “Pa” in his younger days.